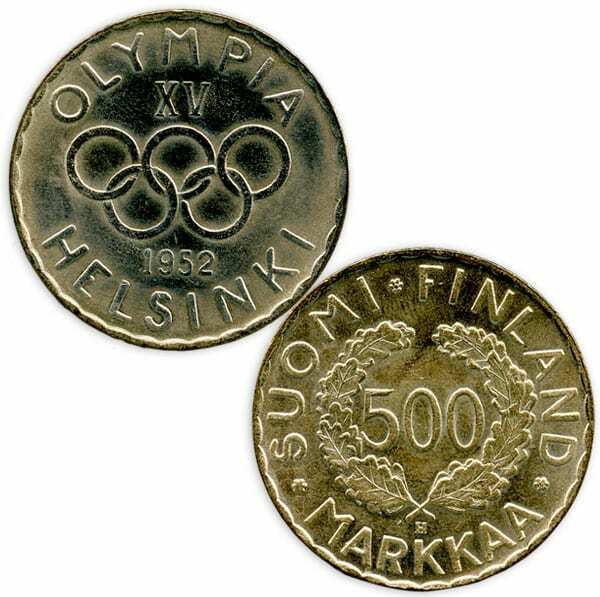 Description: On the obverse side the text SUOMI FINLAND 500 MARKKAA and a laurel wreath. On the reverse side the text: OLYMPIA XV HELSINKI and the year 1952. Other information: The first Olympic coin was minted in 1951.